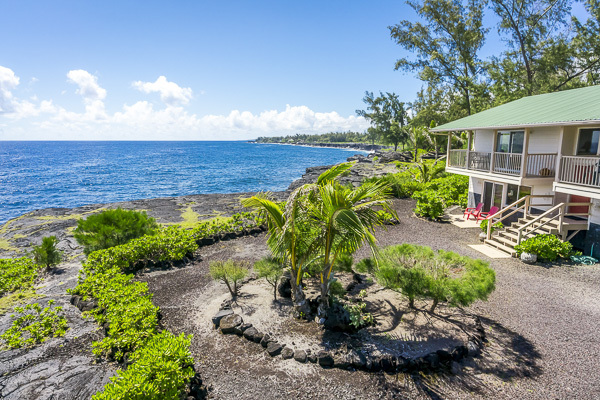 Mele Kohola, Hawaiian for "Whale Song", is a place where you can escape harried urban existence and relax to the whisper of waves breaking on the shoreline and feel the caress of gentle tradewind breezes. Dainty orchids grow in lush surrounding fields and seasonal humpback whales frolic in the protected cove. 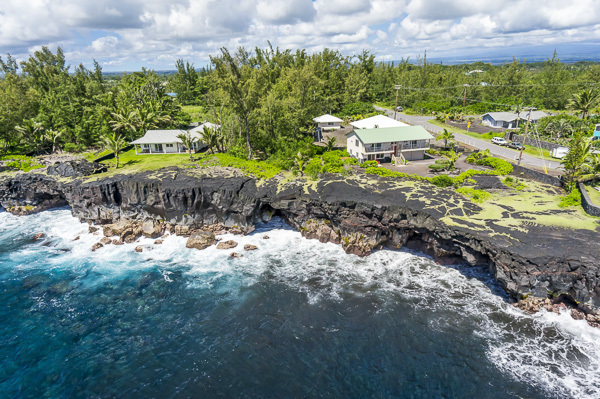 Mele Kohola is just minutes from quaint Pahoa town and downtown Hilo, within easy reach of East Hawaii's favorite restaurants. Hawaii Volcano National Park, home to rare and endangered wildlife such as the elusive scarlet i'iwi honey creeper, the friendly Nene Goose, towering Koa trees and graceful Ohia, is just moments away. If you prefer, relax in the hot tub or soak in nearby volcanic hot ponds. Enjoy the visit ! The volcano is erupting again! See the latest lava map as the lava stands poised just outside of historic Pahoa town. 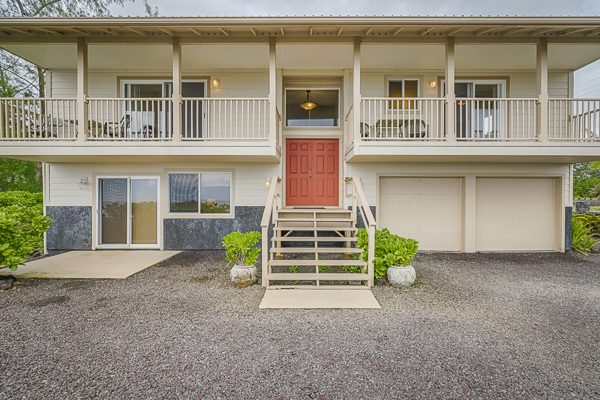 Just a few miles drive from your home base at Mele Kohola.